Make Every Moment Count With Blue Bunny® Sweet Freedom Ice Cream! 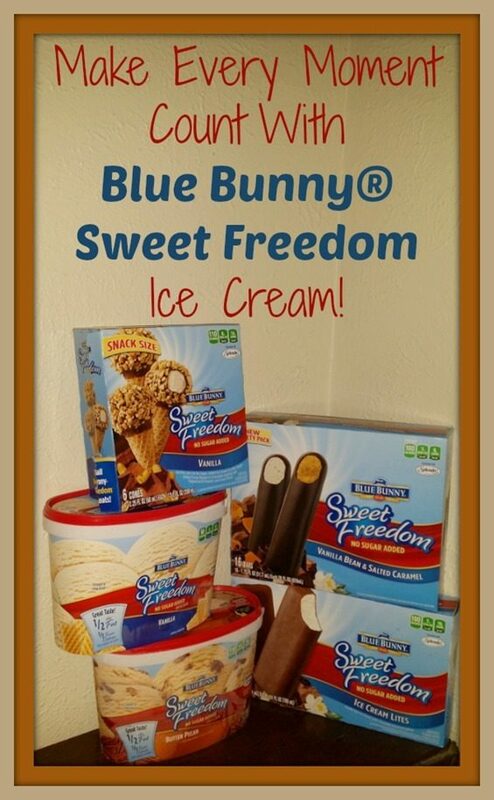 You are here: Home / Sponsored / Make Every Moment Count With Blue Bunny® Sweet Freedom Ice Cream! This is a Sponsored post written by me on behalf of Blue Bunny Ice Cream for SocialSpark. All opinions are 100% mine. I have mentioned before that Hubby and I have started a new journey in the way we eat. We are eating sugar free and Fructose free. 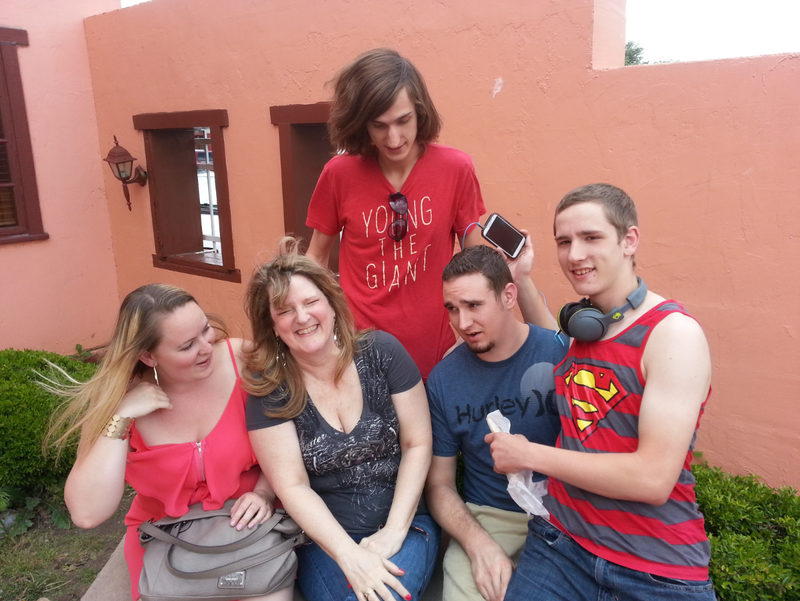 It hasn’t been too difficult, although we eat at home more and enjoy it. We know what’s in our food and we have found some great recipes. Blue Bunny® sent me a cooler full of their no sugar added Sweet Freedom ice cream! I was surprised that there was such a thing, and also very pleasantly surprised at how good it is! They sent me tubs of cool flavors as well as novelties such as drumsticks, which I love. Hubby tried the Banana Split and loved it, but his favorite was the Bunny Tacks he especially enjoyed the taste of the salted peanuts against the sweetness of the other ingredients. I went straight for the drumsticks – I have loved them all my life and this one tasted EXACTLY as I remembered it and it’s a perfect size, too! I haven’t had ice cream since I was diagnosed 4+ years ago with Type II Diabetes. I controlled it with very little sugar (or so I thought, now I know there is sugar hidden EVERYWHERE!) and very low carbs. But, now that we removed sugar and fructose from our diets I can eat more and I can eat carbs (more to come about this…)! So, I was very happy to Blue Bunny® made this ice cream an shared it with me! So, Blue Bunny wants to remind you to “Make Every Moment Count” this summer. I plan on doing that by spending more time with my kids who make me laugh whenever they’re all together! 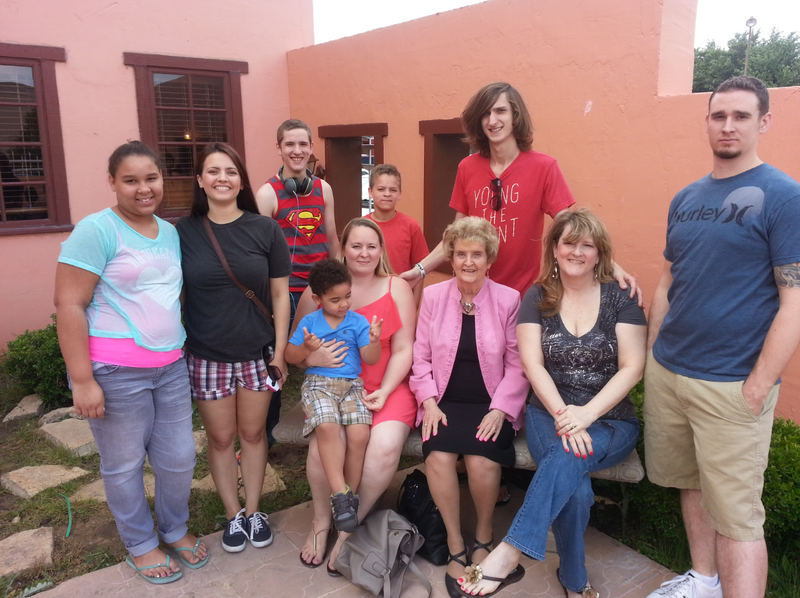 AND making plans for the new grandbaby our son and daughter in law are expecting this coming winter! I know this summer I will be “”Making Every Moment Count” while enjoying nice cold ice cream treats thanks to Blue Bunny® Sweet Freedom! To learn more about their great products, check them out on Facebook and Pinterest!